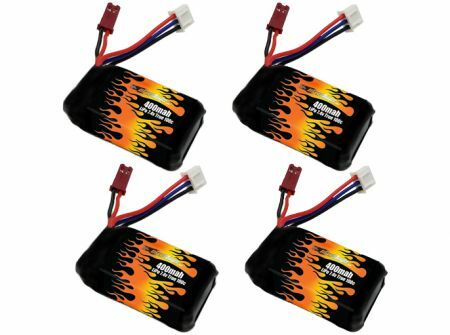 Perfect lipo upgrade for your Emax Babyhawk FPV Quadcopter. Get longer flight times, more power, and more cycles. Keep flying by having the next battery charged and ready to go. Choose our 4-pack and save! Don't have a charger yet? Conveniently add the Hitec RDX1 Pro Charger from the drop-down menu. Select this parallel charge board from the drop-down menu and save on charging time! Great batteries with superior performance! These batteries are light and durable. Get great flight and performance from this battery. My Babyhawk likes it! charges quickly, fits into tight spots, and lasts a long time! This battery fixed the video freeze issue I was having with the stock battery and it added a couple more minutes to the flight time. This is a no brainer. Just buy a set. They fit nice and snug, they work so much better than the stock battery.. Helimax should be ashamed of theirs. At least 10 times as good. It is a really great product with fast shipping and good communication.